How long do you spend in front of the mirror every day? Applying makeup probably takes most of that time. And if you decide to take a picture 3-4 hours later, chances are it’ll look like you’re not wearing makeup at all, it wears off so quickly. 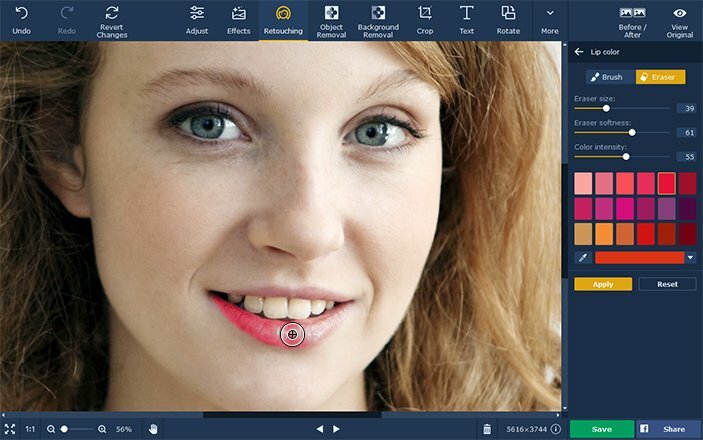 But what if there was a way to edit your face in seconds on the computer? With a photo makeup editor, perhaps? Well, here it is! 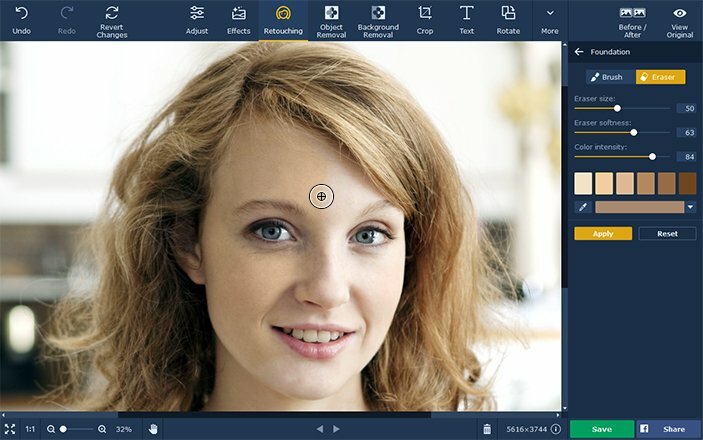 Movavi Photo Editor has all the portrait editor tools you need to fix your makeup: remove blemishes and wrinkles, smooth out skin, whiten teeth, add lip and eye shadow color in every possible shade, use a smart mascara brush and even change eye and hair color. 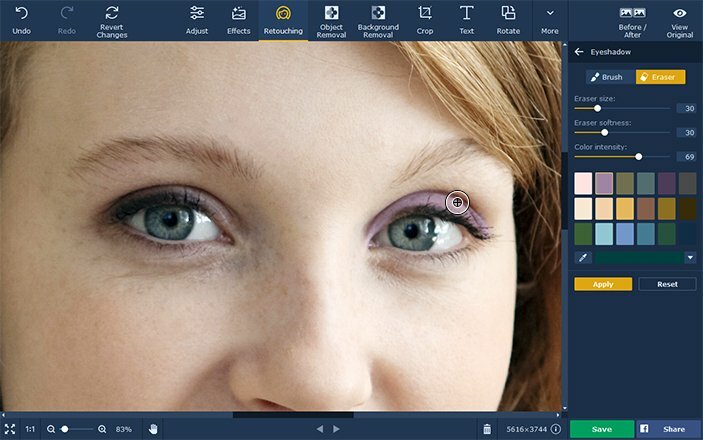 Add makeup to your photos and have fun with it! Cool makeup and hair transformations can be done quicker than you think. 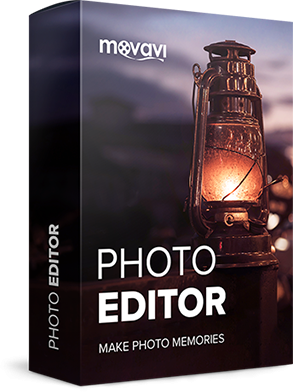 Upload your photo to Movavi’s face editor, apply the desired effects, and enjoy a truly professional portrait! 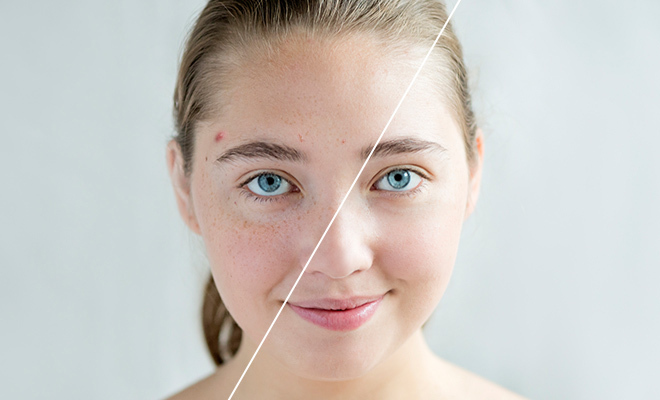 Movavi’s makeup photo editor miraculously erases pimples and blackheads, covers up pores, evens out your skin tone, and removes oily shine in your T-zone. 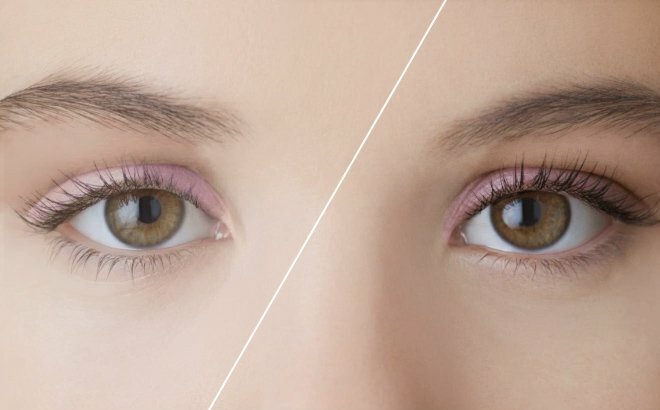 All it takes is a few brush strokes, and then you can apply foundation for an even smoother look. Make your eyes really stand out with our digital eyeshadow palette: soft airbrushes let you blend as many colors as you like – waaay faster than in real life. The smart mascara brush darkens only your lashes and won’t leave annoying smudges on your eyelids. Every shade of lipstick you’ve ever wanted is now within reach. 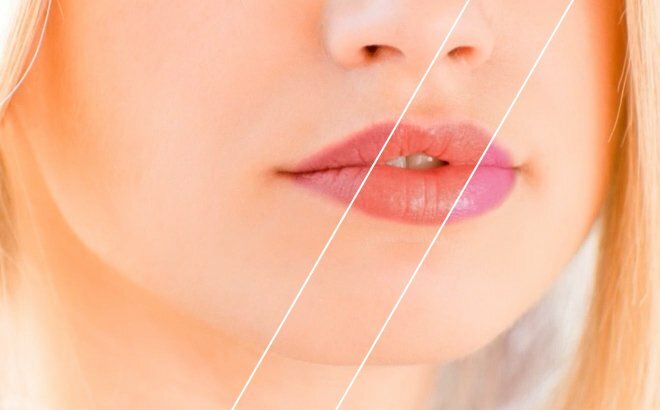 Choose one of the preset colors or experiment with the color picker to invent a unique tint for your lips. Adjust intensity and get the right look every time. Want More? 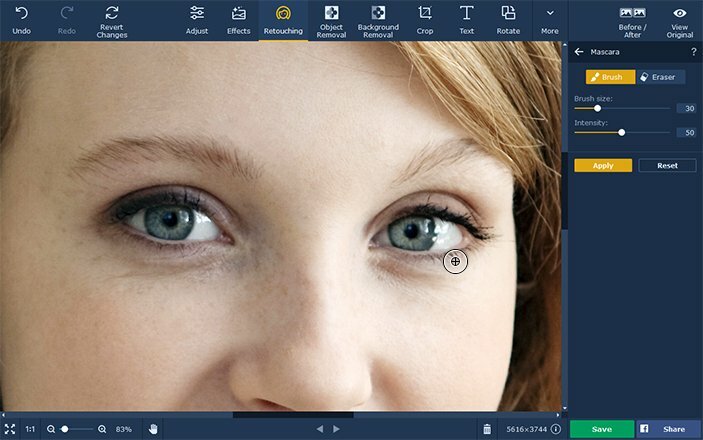 This is In-Depth Face Editing Software! 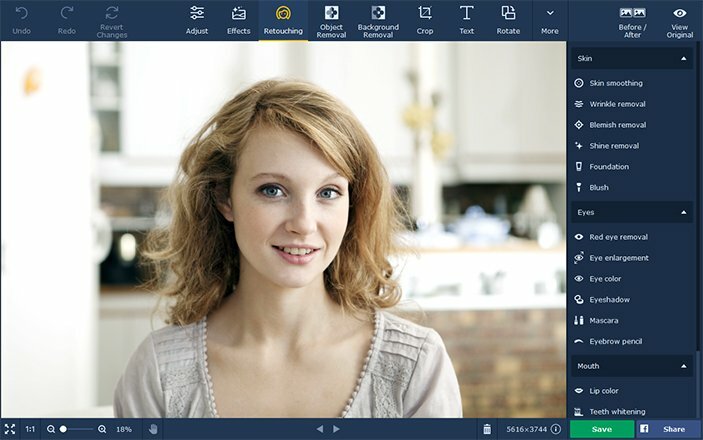 Our makeup picture editor brightens your pearly whites a lot quicker than expensive dentistry. Keep red eye in a Halloween photo shoot. For everything else, use our Red eye remover. Try every neon color you can think of. Don’t hold back – there’s always the “Undo” button! 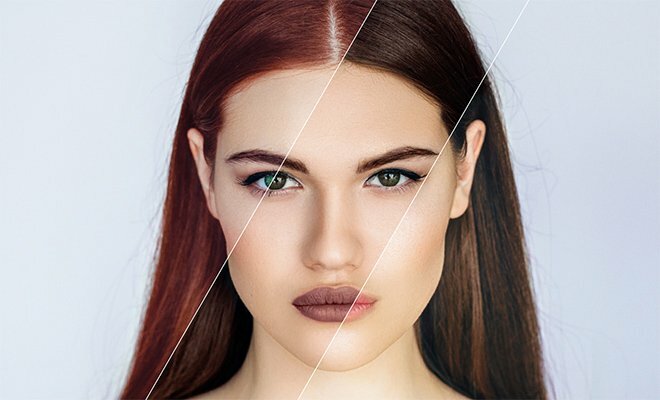 Become a blushing, innocent maiden or a catwalk model with fashionable face contouring.